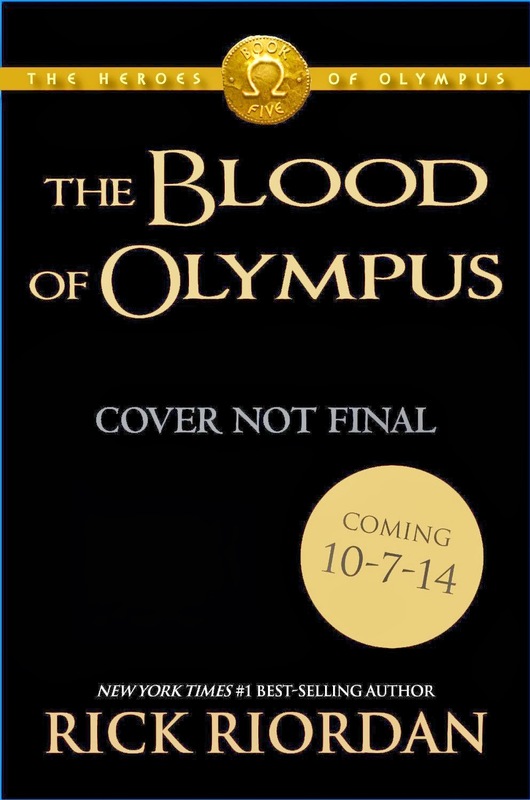 Updated: You can now see The Blood of Olympus official cover. Title and synopsis of the first book in 'Magnus Chase and the Gods of Asgard' by Rick Riordan has been revealed. I got to be honest. It was still early in the morning and I was already in front of one of my favorite bookstores to wait for its opening. The store will be opening by 11 AM and because of the excitement to read the new The House of Hades, I was already preparing by around 8. It was a very tiring wait, much less a hunger-inflicting one, because I didn't take my breakfast early on. But the one thing I can tell you is that the wait and the hunger were worth it, and every negative vibes were gone when I had in my hands the much-awaited book in the The Heroes of Olympus. Here I am doting over the recent addition to my treasured collection, The Heroes of Olympus: The House of Hades by Rick Riordan. The demigod crew of the Argo II is standing at a crossroads. They could return home with the Athena Parthenos statue and try to stop Camp half-Blood and Camp Jupiter from going to war. Or they could continue on their quest to find the House of Hades, where they might be able to open the Doors of Death, rescue their friends Percy and Annabeth from Tartarus (if they have survived), and prevent monsters from being reincarnated in the mortal world. Whichever road they decide to take, they have to hurry, because time is running out. Gaea, the bloodthirsty Earth Mother, has set the date of August 1 for her rise to power. Join the demigods of the prophecy as they face their biggest challenges yet in The House of Hades, the hair-raising penultimate book in the best-selling Heroes of Olympus series. While I was delicately opening the acetate cover of the book, my eyes were bulging. Not only because I was hoping to read the expected beautiful story, but I was also eager to discover the next title in the series and either confirm or debunk its many rumored titles. I opened the book on its last pages, and without further ado, here is the next book in The Heroes of Olympus. Image courtesy of Shuriken Lord. You've read it right. It's called The Heroes of Olympus: The Blood of Olympus by Rick Riordan. It is expected to be released in Fall, as usual, of 2014, specifically on October 14, 2014. Updated: Amazon has revealed the synopsis of The Heroes of Olympus: The Blood of Olympus on the book's ebook format. It is also listed in their website that it will be released on October 7, 2014. And here's quite a spoiler on what's to happen in the fifth book, according to author Rick Riordan. "Book five is when everything comes together, when they have to face the horde of giants that has arisen to take on the gods themselves, when they have to face the ultimate villain of the series, who is Gaea, the Earth Mother, who is not a happy lady. Gaea is the puppet master, as she is in Greek mythology. She is maybe not center stage, but she is the one who is pulling all the strings, making things happen. There will be giants, there will be spirits of the dead. There’s a lot of drama as the demigods interact with each other." Did you like the new title in the series? Did some rumored titles hit the spot and was able to guess it? For the meantime I wanna go run and immerse my self with the beautiful story that's awaiting for me in The Heroes of Olympus: The House of Hades. I haven't even read the first book of the saga yet but I love Rick's series. He's one of my favorite writers. I'm guessing there is going to be Jasper, Percabeth, Frazel, and Calypsleo. Leo is going to come back to Calypso's island and dramatically save Calypso from her fate. Bob(Iapteus) is going to appear out of nowhere and face-off his brothers. Nico is going to sacrifice his life to save Annabeth and realize he was wrong about Annabeth. All the demigods are going to live in harmony and peace. There is going to be a new camp where demigods can live there life in peace called the Hedgewoods. I am excited to read the book in full as well. Hopefully I could, since I am juggling work and many other stuff. For all: Please, let's all listen to Rick Riordan. No spoiler please before everyone who's interested gets the chance to read the book. Blood of Olympus= C'mon Rick, last book. Lets make it the best. super excited! i'll be awfully put out if nico dies, though. that kid deserves all the happiness he can get. Oh my gosh! Its being released on my birthday, the 14th. Best present ever! Good for you, Desi. At least your friends will not find a hard time figuring out what gift to give you on your birthday! I've read up to 11 books so far .... I read Percy and the lightning thief all the way up to the house of hades. I can't wait to read the others! I love all of them so far they are absolutely fascinating!!!! KEEP IT UP! Good for you that you are enjoying Rick Riordan's books -- same here. Prepare for more books from the author as he will be releasing a series on Norse Mythology next. Yay! The Blood of Olympus premiere is on my b-day!! Sorry :) I'm from poland and my English is not perfect. That's a nice birthday present for you! It's ok language is just a barrier that divides continents. What matters are people similarities in likes and passions. Thanks for stopping by. And advanced Happy Birthday to you (October)! Cameron, I think you would find Rick Riordan's upcoming Norse Mythology series in the same vein, so you'll enjoy it as much. I just finished 'House of Hades' and it was amazing! When i finished, i saw that there was gonna be the new book and i rly wanted to find out about it! You gave the best information! I was dying to now if there was gonna be another book after i finished house of hades! I CAN'T WAIT TO READ!!!!! P.S. It's annoying because we have to wait so long but what can u do? I'm sad that this is the last book but i do know it going to be AWESOME!! :) I also hope that he writes another series with percy jackson maybe he can write one on the greeks and romans.